Can This New App Help More Asian Americans Vote in 2016? 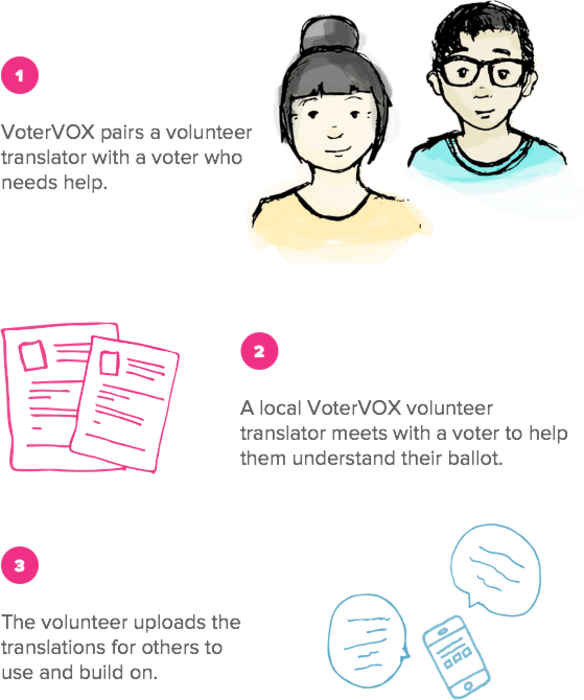 The app seeks to connect multilingual Asian Americans with voters in their communities needing language assistance in order to address continuing language barriers facing Asian American and Pacific Islanders (AAPI) at the polls and resultant voter disenfranchisement. According to recent studies, AAPIs are three times more likely than Latinos to cite language barrier as a reason for not voting. A new Asian Americans Advancing Justice | AAJC report, “50 Years of the Voting Rights Act: An Asian American Perspective,” finds that language assistance is vital to the fast growing AAPI community. Section 203 of the Voting Rights Act requires bilingual ballots and assistance at the polls for limited English proficient voters, but only when the population that speaks a minority language reaches a certain threshold in the community. As a result, many voters from smaller, less concentrated language groups who need assistance are left out. Section 208, however, allows voters to receive assistance from a person of their choice, and exit polls show that this is a solution many AAPIs utilize. 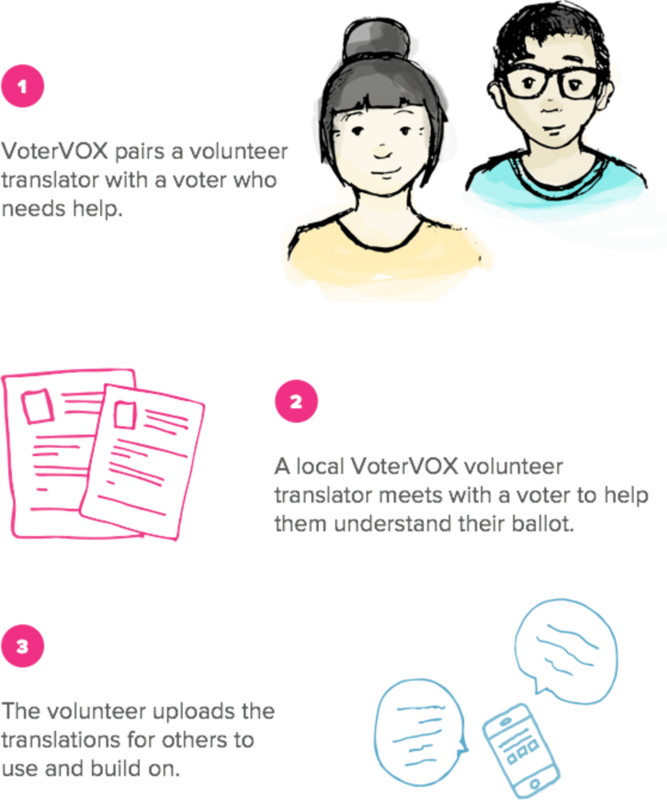 VoterVOX works by matching a volunteer translator with a voter identified by community groups as needing help understanding the ballot. The volunteer translator meets the voter at a local library or community center, and they go over the voter’s mail-in ballot. Afterwards, the voter mails in his or her own ballot, and the volunteer translator uploads his or her ballot translation or technical language notes to share with other volunteer translators. Samala sees this as just the first step to better engagement for multiple communities. This entry was posted on Monday, August 17th, 2015 at 11:18 PM and is filed under Culture, ISSUES, Politics.